It’s incredible but true… these compact beauties really will produce a tower of striking star-shapes blooms continuously for 6 months - every year! 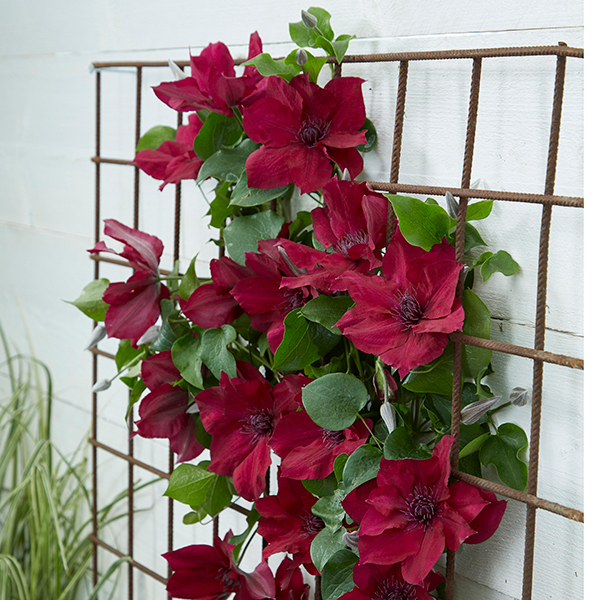 The Boulevard series of clematis has been bred specifically for a compact growing habit and a precocious flowering nature - so you can create a massive colour impact from a very limited space. 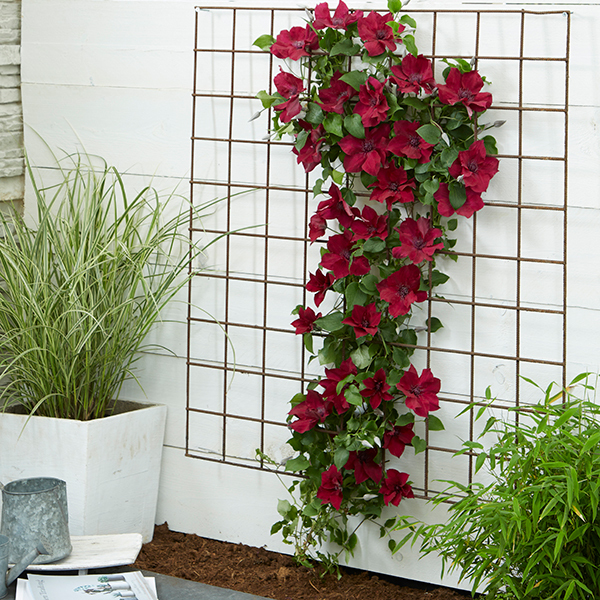 Perfect for growing in small spaces, in pots and containers, so are ideal for modern gardens where space may be limited. 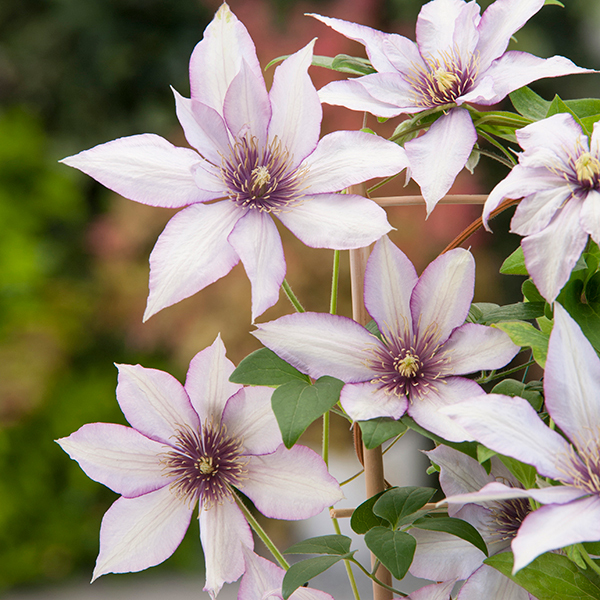 The plants will never get out of hand and reach a mature height of around 1-1.5m (3-5ft), and as they flower all along the stem from the leaf axils, these splendid clematis are covered in blooms right from top to toe! They are perfect for growing in patio containers and large pots and are a 'must' for town gardens and balconies. Flowering repeatedly from spring to late summer, they form a glorious pillar of colour. 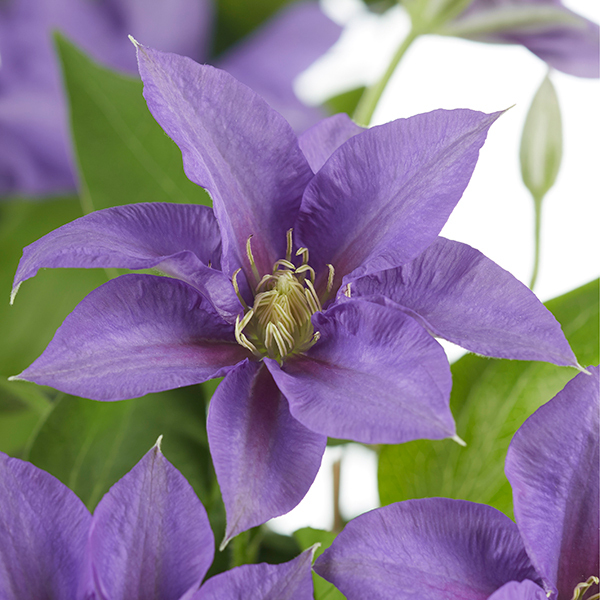 Boulevard clematis are robust, hardy and easy to grow with vigorous re-growth every spring. 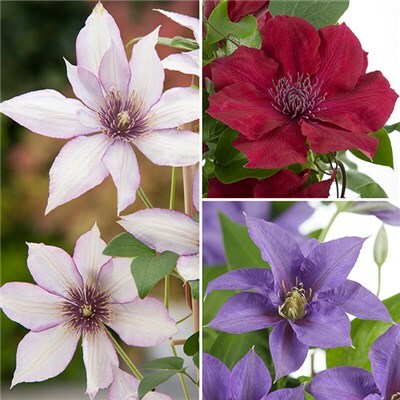 Bred and developed by world-renowned specialist Raymond Evison, this collection will captivate all summer long with large, blousy blooms and repeat-flowering habit. Plants only require a minimum of annual maintenance - cut all stems back to 15cm (6') in Feb/March– PLUS they are totally winter hardy too! 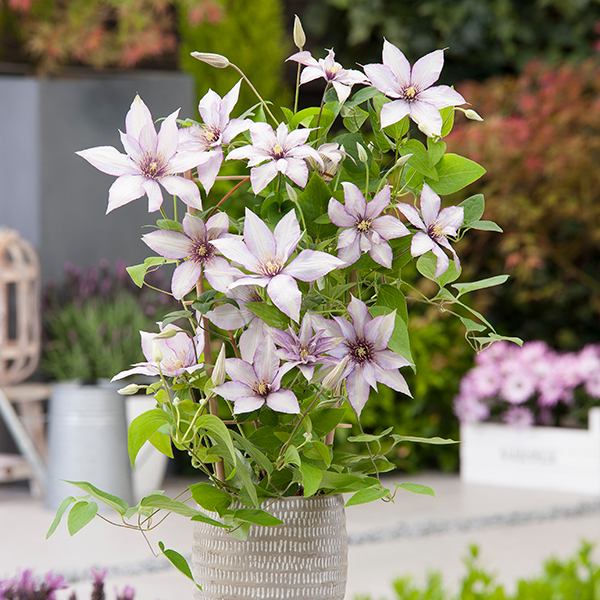 Supplied as young plants in 10.5cm pots ready for growing on, these unique clematis are simply fantastic value for money. 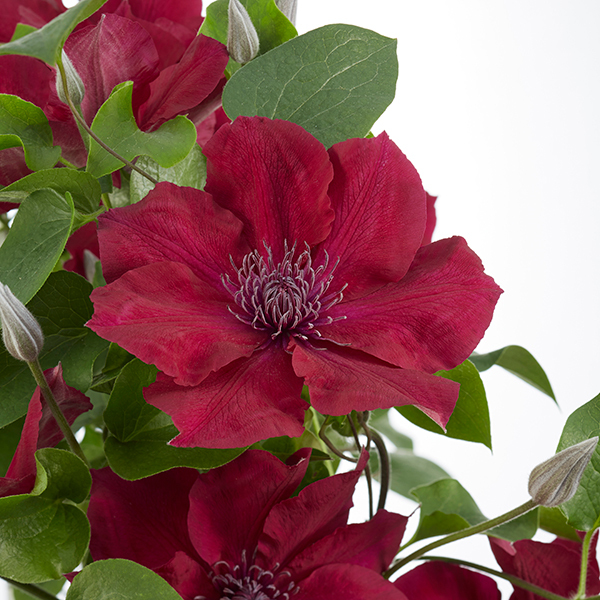 You'll receive one plant each of: Nubia - A stunning combination of red petals and a darker centre makes Clematis 'Nubia' ideal for a sunny spot. 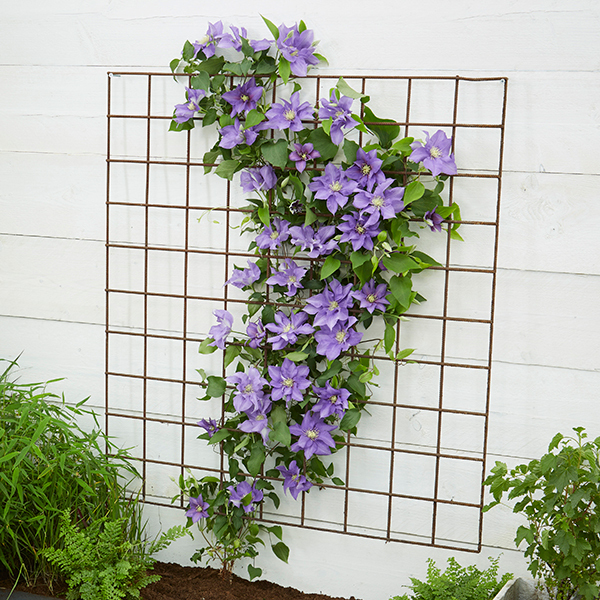 Free-flowering and very hardy this clematis is perfect for accentuating pathways in a pot or planter. 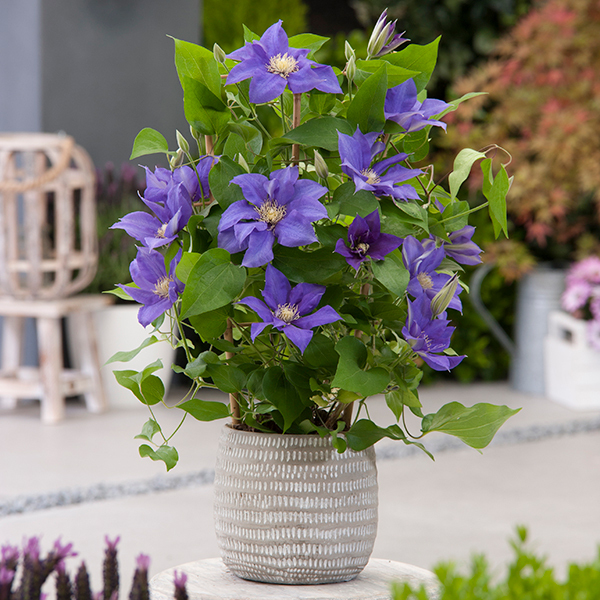 Olympia - A compact clematis that blooms all the way along its stems, resulting in a proliferation of large, rich purple-blue flowers from the ground upwards all summer and into late autumn. Samaritan Jo - With pretty silvery-pink star-shaped flowers outlined with a delicate tracery of light purple, the blooms are further accentuated with a beautiful crown of purple stamens topped with the clearest golden yellow - a real sight to behold!